Clive Keith Coogan began his career as a solid-state physicist and was always fascinated by novel scientific instruments. He played a big role in the development of the Australian scientific instrument industry and in helping it establish export markets, particularly in South-East Asia. He was born on 21 April 1925 in Eastwood, a suburb of Sydney, but spent his childhood in country NSW, where his father was a bank manager. Later, he moved back to Sydney and attended one of Australia’s most famous schools, Fort Street Boys’ High School, where he excelled in English, physics and mathematics. He was also a good athlete and in adult life played royal tennis. He began his undergraduate education in the Faculty of Engineering at Sydney University, seemingly following in the footsteps of his grandfather and great-grandfather who were well-known civil engineers. However, physics soon took his fancy and he transferred to science, graduating in 1947 with first-class honours and the award of the Deas Thompson Prize for Physics. He completed his MSc degree in 1948 and was awarded a prestigious CSIR senior studentship, which took him to the University of Bristol to work on solid state physics with Sir Neville Mott who later was awarded the Nobel Prize for Physics in 1977. Coogan was awarded his PhD from Bristol in 1951. He returned to Australia in 1951 and joined the Chemical Physics Section of the CSIRO Division of Industrial Chemistry at Fishermen’s Bend, Melbourne. The Chemical Physics section had been established in 1945 with Albert Lloyd George (Lloyd) Rees as Section Leader. There Coogan continued research in solid-state physics, especially the optical and electrical properties of zinc sulphide. He showed a strong inventive streak and developed several new scientific instruments in the course of the work. In this he was encouraged by Lloyd Rees. One can never predict entirely the uses to which fundamental knowledge will be put. Whatever the eventual outcome, Coogan’s work was successful from a scientific point of view since the model of diffusion he helped develop over thirty years ago is still in use today. After his return to Melbourne, the Division of Chemical Physics acquired one of the first NMR spectrometers in Australia and Coogan became involved in using magnetic resonance techniques in solid-state physics and chemistry. In 1978, Lloyd Rees retired and Dr A McL Mathieson was appointed Acting Chief of the Division of Chemical Physics, with Coogan and John B Willis appointed as Assistant Chiefs. In this organisational structure Coogan took responsibility for relations between the Division and industry. In 1980, following the appointment of Dr Lou Chadderton as Chief of Division, Coogan was seconded as an executive scientist to the CSIRO Bureau of Scientific Services so that his talents could be used more widely. The next ten years saw him make a key contribution to the national economy. A growing scientific instrument industry had developed in Australia and Coogan set about helping it to establish a viable export market. In the 1970s, he had invented a fibre optic nephelometer for measuring turbidity in liquids, which was manufactured by Selby Scientific and Medical Company in Australia and proved very versatile. A detailed account of this invention has been written by Harry Kannegiesser in his book Ever the Clever Country? Innovation and Enterprise in Australia, pages 89-90, published by McGraw-Hill, Sydney in 1996 and can be found by following the link in the Related information below. The patent describing this invention ‘Optically based measurement of fluid parameters'(US Patent Number 4,690,560) can be found by following the link in the Related information below. Although successful as both a scientist and an inventor, Coogan’s major impact has been on the Australian scientific industry. As early as 1972, he was advocating the formation of an umbrella corporation for Australian scientific instrument manufacture, pointing out that such an industry was ideal for Australia because it is generally not capital intensive and uses both skilled and semi-skilled labour. He worried that ideas produced in CSIRO, other government research laboratories, the universities and industry were not exploited in Australia, leading to a loss of profits, employment and industrial skills. Although we had some successes like Scientific Glass Engineering International Pty Ltd and Techtron, it seemed to Coogan that opportunities were being lost every other week. He was especially interested in the Asian region where giants like China and Indonesia were about to begin modernisation programs. In 1979, he convened an industry-government-CSIRO group that met in Canberra to consider selling Australian scientific instruments to China. With Coogan’s help that group set up the Australian Scientific Instrument Association (ASIA). 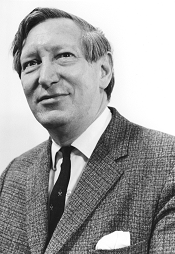 Clive Coogan was appointed the first Chairman (1979-84) of the Association (ASIA) and was made an Honary Life member in 1984. As summarised below, from 1980 onwards he made several overseas visits, particularly to China and other parts of Asia, leading trade missions, organising instrument exhibitions, and promoting sales. By 1990, exports of Australian scientific instruments totalled more than $l billion per annum. He was also involved in floating a number of companies to raise ‘seed’ money for the development and marketing of novel scientific instruments. Under his Chairmanship of the Australian Scientific Industry Association and with the involvement of Rotary and later the electrical manufacturer Siemens, the Association developed a Summer Science School to provide secondary school students with an introduction to the world of science. In the late 1960s, he was honorary Advocate for the CSIRO Officers’ Association in a lengthy arbitration case to improve the salary scales of CSIRO Chiefs of Division. This finally involved him in leading a successful appeal to a full bench of the Conciliation and Arbitration Commission. He and Roy McInnes were the first CSIRO staff to become members of the CSIRO Advisory Council (1973-79). In the 1970s and 1980s, he was also active in the affairs of the Anglican Church, serving as churchwarden of St Marks, Camberwell and as representative on the Melbourne and General (Australian) Synods and numerous associated committees, such as Chairman, Melbourne Diocese Clergy Stipend Committee 1979-81, the Social Questions Committee, etc. He had a very strong sense of justice and on several occasions took up the cause of individuals whom he felt had been unjustly treated even though this might involve confronting a Vice-Chancellor or an Archbishop. In 1978, he was founder and General Manager of WORCO, a co-operative to help unemployed young people establish self-supporting businesses. In this Coogan had suggested that concerned businessmen or recently retired businessmen might use their talents and experience to help the unemployed. This they did by remodelling a disused factory to provide space at a very low-cost, offering financial assistance, and providing sound business advice. Coogan acted as organiser for the first few years until the scheme became viable. Some 15 years later, Worco had grown into a group of ten successful businesses, sharing space and facilities and manufacturing a variety of products. Clive Coogan was a charming and sociable man with a tremendously wide range of interests and with friends in many walks of life. He was a member of the Royal Melbourne Tennis Club (royal tennis); was Co-founder (in 1985) of CSIRO SIP, the Society for Ingestion and Pontification (not to be confused with SIP, the Strategic Investment Process initiated by CSIRO CEO Geoff Garrett in the 2000s); was a regular book reviewer and writer on science and technology history and was a regular speaker at conferences, seminars, graduation ceremonies and dinners. In addition, from October 1985 to February 1990, he wrote the special feature Coogan’s Corner in Laboratory (Lab) News. Tragically, after a major stroke in 1993 he was severely incapacitated. Although in his last years he was immobile and unable to speak, he long retained an interest in the people and activities he had been involved with during his very varied and active career. He died on 17 December 2005. Willis JB, 2006, Obituary written for the Royal Society of Victoria and published in their journal VAST (‘Voices of Australian Science and Technology’), 4, February 2006. Kannegiesser H, 1996, Ever the Clever Country? Innovation and Enterprise in Australia, ‘Chapter 6 – Clive Coogan: invention, innovation, business and science’, McGraw-Hill, Sydney, pp.80-102. Who’s Who in Australia, 2003.